The Peak District may be the largest national park in the English Midlands, but it is hard to escape the sense that descriptions of the landscape sound like they belong in an unpublished JRR Tolkien novel. 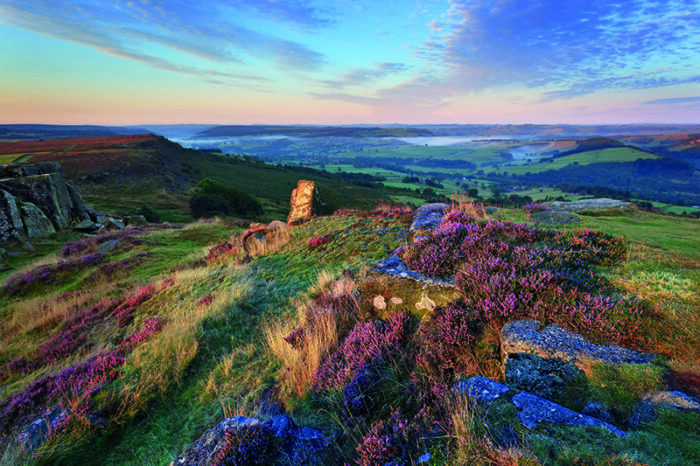 Like a topographical battle between good and evil, VisitEngland talks of “two contrasting personalities” – the area is split between the wilder moors of the Dark Peak to the north and the lush green gorges of the White Peak to the south. The Derbyshire Dales is officially a local government district that encompasses much of the White Peak territory, as well as a number of market towns on the outskirts of Derby. It stretches right up to the villages of Hathersage, which contains the grave of Little John, one of Robin Hood’s Merry Men, and Eyam, a picturesque enclave of stone cottages that gained the dubious title of ‘Plague Village’ after London’s Great Plague of 1665 reached here via a cloth parcel and the self-sacrificing locals bravely isolated themselves to avoid it spreading further. The area boomed in the 19th century as local factories and mills helped kickstart the Industrial Revolution and farming became a lucrative business, yet despite these developments and a steady population increase, the Dales never lost any of its rural appeal. The overwhelming impression of this charming part of the world is one of tumbling stone walls, centuries-old ash trees, and rolling green hills, rich with wildflowers and ripe for exploration. Barely three miles long, this lush valley is one of the most popular walking destinations in England. As it follows the River Dove, Dovedale is dotted with points of interest including the medieval Viator’s Bridge and Lover’s Leap, said to be named after a lady who threw herself off it upon discovering her boyfriend had died in the Napoleonic Wars. 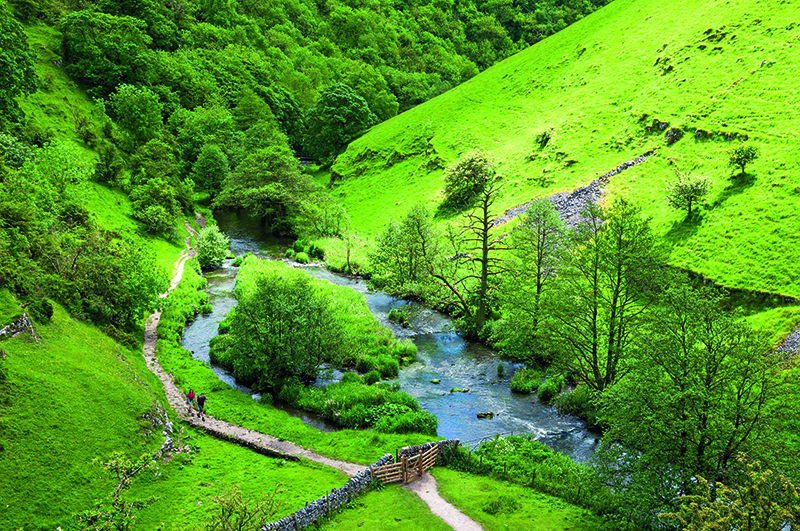 The National Trust has owned Dovedale since 1934 as part of the wider South Peak Estate and while they have largely been responsible for lovingly tending to the area ever since, the organisation did spark controversy when it tried to fortify the eroding stepping stones that cross the river near Thorpe Cloud. 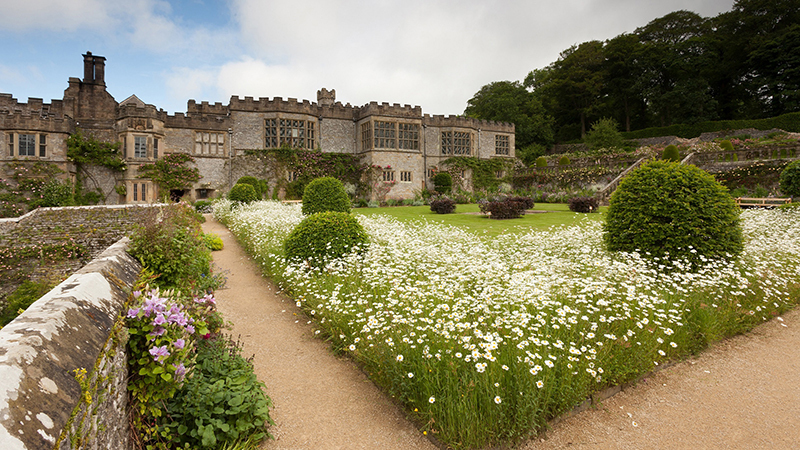 The Trust encourages exploration too, and several walks are outlined on its website, including a gentle, hour-long stroll from the landscaped Italian Gardens of Ilam Park down into the dale. Though famous for its jam-and-almond namesake puddings (see issue 206), Bakewell has far more to offer than just a sugary fix. It is the quintessential market town, widely accepted as the inspiration for the fictional Lambton in Pride & Prejudice. Though author Jane Austen first visited Bakewell after writing her first draft, she later made revisions and declared there was “no finer county in England than Derbyshire”. The local Rutland Arms Hotel claims that it is the inspiration for the inn mentioned in chapters 44 and 46. Tours of the town can be pre-booked at the Old House Museum, a lush stone property built during the reign of Henry VIII. Bakewell remains a thriving local community. The Monday market is always busy, while the Agricultural Business Centre stages livestock markets that are a fantastic piece of theatre for casual visitors. independent shops and also the picturesque Lumsdale Falls. Venture further along the River Derwent to Matlock Bath for family-friendly fun in the shape of Gulliver’s Kingdom theme park and the Heights of Abraham cable cars. The Peak District Lead Mining Museum is housed in the cream-and-pink Grand Pavilion, a once-popular local theatre. Displays include the 3,000-specimen Howie Mineral Collection. Parts of this gorgeous Tudor manor house date back to the 11th century and it has featured in several major movies, including The Other Boleyn Girl andThe Princess Bride. Surprisingly it lay empty for more than 200 years, the current occupants, Lord and Lady Manners, the 11th Duke and Duchess of Rutland, having only moved in last year after a major restoration. Open to the public, Christmas is a wonderful time to visit as the hall goes to town on decorations. This year’s theme is Sleeping Beauty and Other Tales, so expect a Cinderella-styled kitchen and an enchanted forest in the Long Gallery. This man-made reservoir is a relatively-recent addition to the Derbyshire Dales landscape, having been officially opened by the Queen in 1992. Nevertheless, the 750-acre site is one of Britain’s largest and the crystal-clear waters make a welcome break from the lush greenery in the rest of the Dales. Carsington Sports and Leisure offers a number of outdoor activities here including sailing, windsurfing and fly fishing. A leisurely, 8.5-mile walk around the reservoir’s edge can also be enjoyed, starting at the visitor centre and taking in waterside views, sheep farms, and the newly-refurbished Miners Arms pub. Entering this open-air museum is like stepping onto the film set of a period drama. There are more than 60 vintage trams riding the rails, as well as old shops, classic cars and an amusement park. You can even find the only surviving MK2 police telephone box – best known now as the inspiration for the TARDIS in Doctor Who. The village is based around an old quarry route created by the great Victorian railway pioneer George Stephenson, who lived in nearby Chesterfield prior to his death in 1848. Situated just a mile south of Matlock, this small village is best known as the site of Sir Richard Arkwright’s first mill complex. 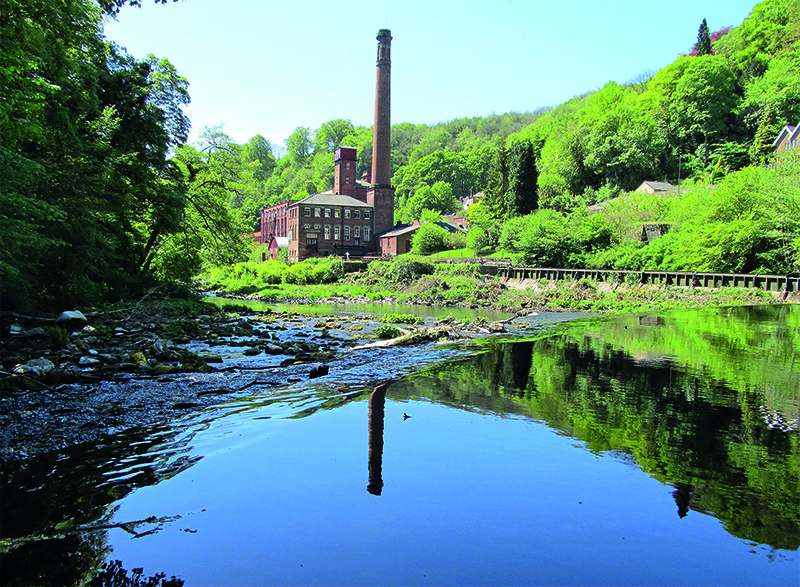 A key figure in the Industrial Revolution, Arkwright patented many large-scale factory machines and his mill is recognised as a UNESCO World Heritage site. The on-site museum hosts a talk from a CGI version of the man himself. Elsewhere in the village is Masson Mills, Arkwright’s 1783 showpiece which became a worldwide blueprint for mill design. Today it houses a shopping village with 60 outlets, as well as the Working Textile Museum. Also look out for the National Stone Centre, a 40-acre, charity-run geological site with fossil trails. As one might expect of a 1652 manor house owned by Lord and Lady Edward Manners of Haddon Hall, standards are impeccable at this 15-bedroom hotel. Antique furniture, marble bathrooms and attentive service are standard, while the restaurant is helmed by Dan Smith who trained under Michelin-starred chef Tom Aikens. The Peacock is ideally situated between Bakewell and Matlock too, and spare ‘wellies’ can be borrowed for walkers. Truth be told, you may never want to leave the hotel grounds. The half-acre garden is filled with rambling roses and manicured lawns that lead to the trout-filled River Derwent. 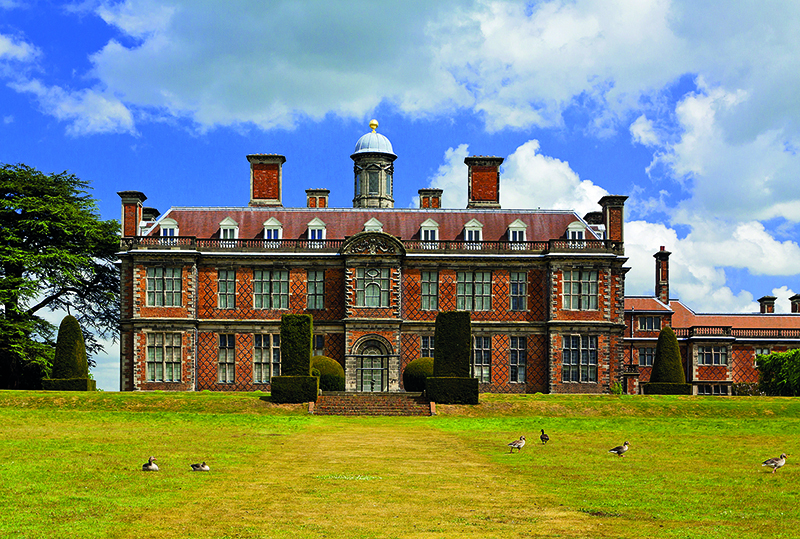 You don’t need to have lived through the 17th century to feel nostalgic at Sudbury Hall. While the Vernon family’s historic country home is an impeccable period piece, the service wing now contains the National Trust Museum of Childhood. Themed galleries tackle topics such as “school” and “outdoor adventure”, while the appearance of many classic toys are sure to inspire a Proustian rush. You will have more opportunities to enjoy the hall in 2019 too. After a little autumnal TLC, the National Trust plans to keep the doors open for an extra 128 days next year.